[Fishing rods lined up on the shoreline of Chatfield Reservoir. Photo: Kent Kanouse] While the Colorado Rockies are notorious for their trophy trout, you don’t have to travel west of the Front Range to find a top fishing spot. 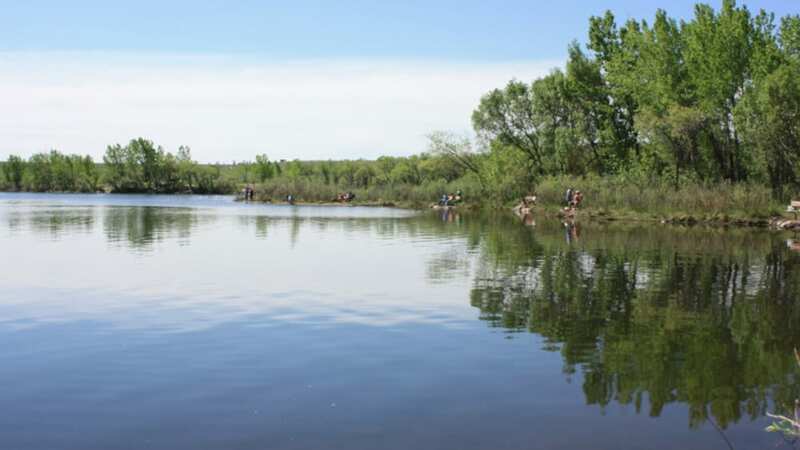 You can find some of the best places to fish in and around the Denver metropolitan area. Thanks to Denver’s relatively lower elevation of around 5,300 feet, you’ll be able to fish year round without worrying about the harsher winter temperatures found higher in the Rockies. Although even here some reservoirs do freeze up over the winter, so expect a few chances to ice fish as well on the Front Range. The majority of Denver’s best fishing spots are lakes and reservoirs, with only a handful of suitable creeks and rivers. For this reason you’ll probably want to use a longer fishing rod since you’ll most likely be casting from the shore. So bring your Shakespeare ugly stick with you and catch that trophy! All fishers 16 and up require a valid Colorado Fishing License to cast a line at any of the places below. Clear Creek flows through downtown Golden and directly into the Coors Brewery, fueling Colorado’s most well known beer. It flows northeast from there before combining with the South Platte River around Highway 76 and 270. Heading west into the Rockies from Golden, you can follow the river along US 6 before it runs parallel with I-70 around Black Hawk/Central City exits. 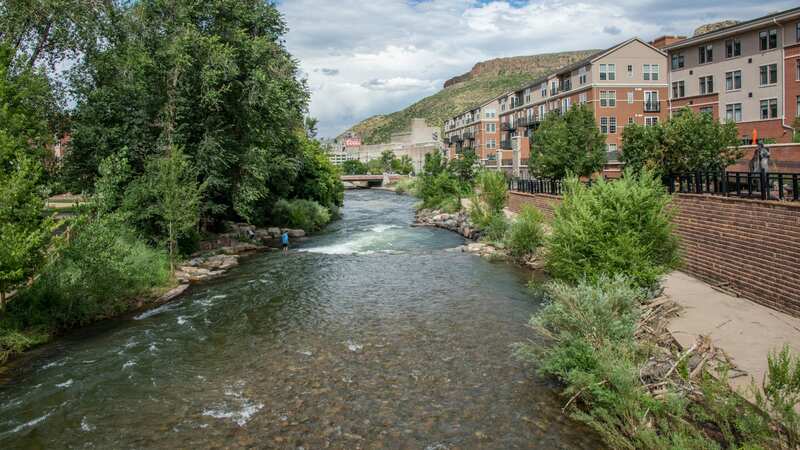 The summer season brings hoards of river tubers and kayakers to Clear Creek Whitewater Park in the town of Golden, so it’s best to head west from Golden on US 6 and pull over at one of the many parking spots for river access. It’s also great fishing if you make it to Idaho Springs, where Clear Creek also passes right through. 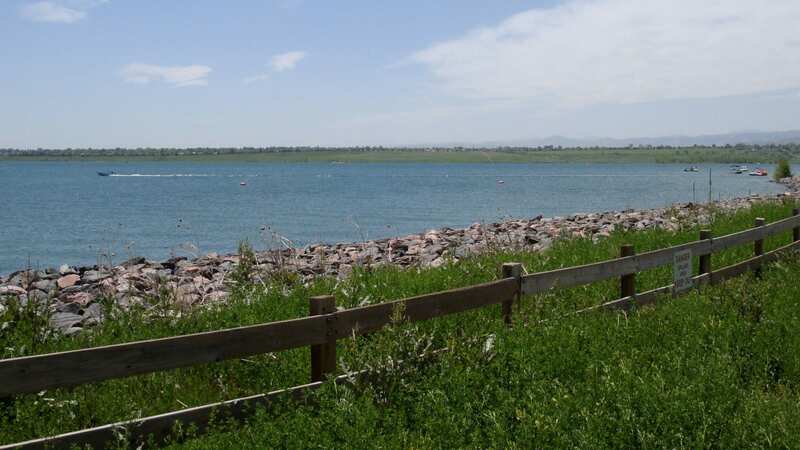 Cherry Creek Reservoir is a wonderful lake to fish throughout the year in Aurora. 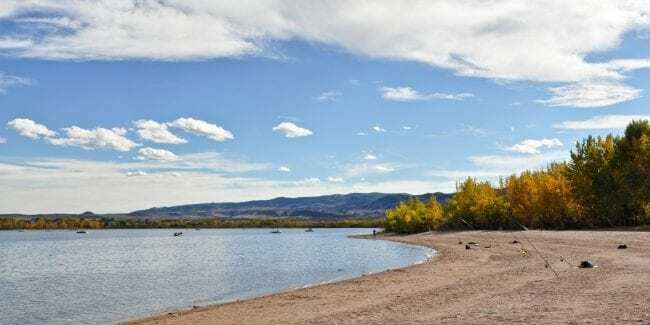 It’s located within the Cherry Creek State Park, so there’s a vehicle entry fee, plus a range of other activities, such as hiking and biking trails. 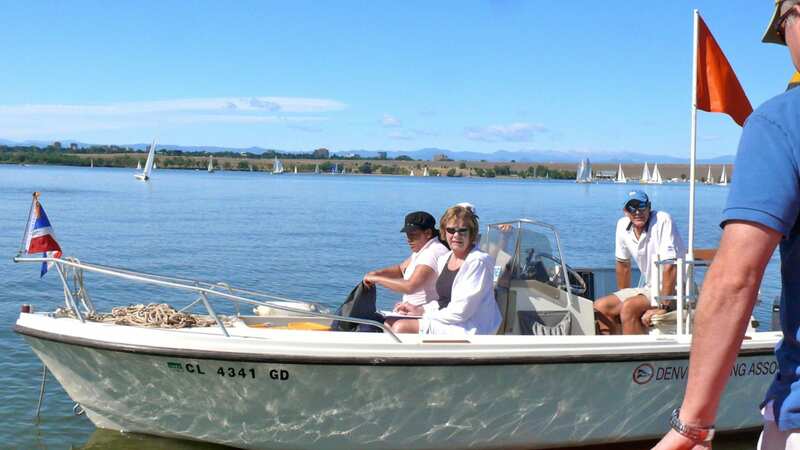 Boating is permitted on the lake, and you can rent a boat at the marina on Pelican Bay. 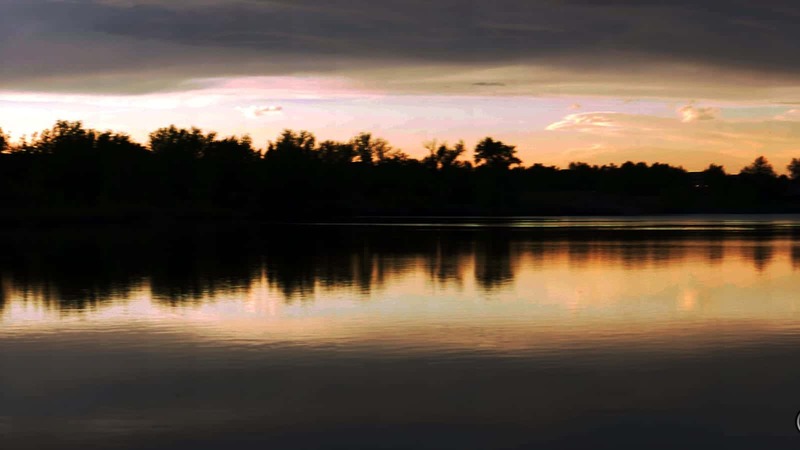 Another state park, Chatfield Reservoir is the most southern fishing spot on our list. It’s situated in Littleton just south of Highway 470. It’s a larger lake than Cherry Creek at around 1500 acres, and also open to a boats including jet skis. You can rent boats here too at the marina. Common fish found here include bass, trout, bluegill, carp, channel catfish, crappie, sunfish, walleye and yellow perch. Shore fishing at Bear Creek Lake. 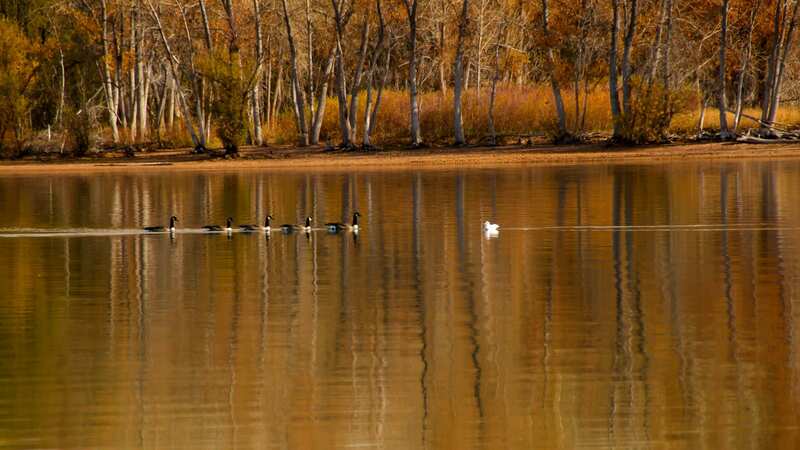 Tucked into the foothills at the base of the Rocky Mountains, Bear Creek Lake Park features three distinct lakes, Bear Creek Lake, Big Soda Lake and Little Soda Lake. The largest, Bear Creek Lake, is stocked with rainbow trout, saugeye and small mouth bass. In May head out to Lakewood for their annual Trout Fishing Tournament, so grab a buddy for either a two-person shore fishing team or boat fishing team. And if you get hot while fishing, swimming is permitted in Big Soda Lake from Memorial through Labor Day. 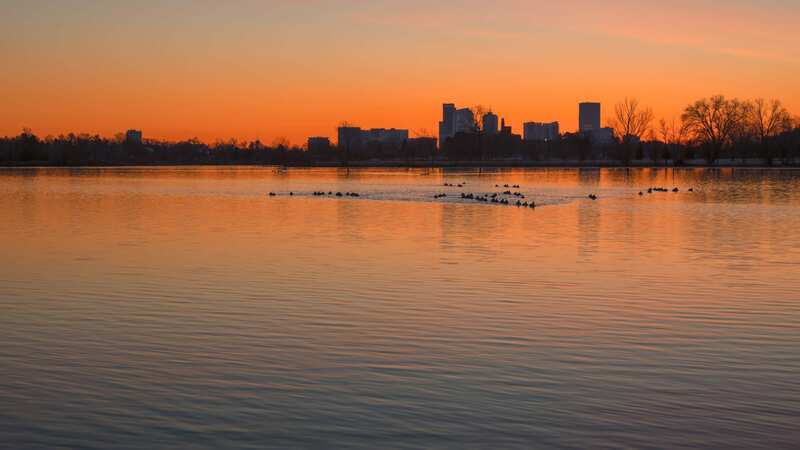 Denver’s very own Sloan’s Lake hosts a free to use park, open year round for fishing. There’s a great track around the lake, so getting around to find that perfect fishing spot is easy. You can fish everywhere here except the channel between the island and shore. Power boats and water skiing are permitted, however, they don’t rent any boats so you gotta B.Y.O.B. Swimming is not permitted here and from my dog’s experience, you wouldn’t want to anyway. Blue sky fall day at Westminster City Park Pond. Situated within the 205 acre Westminster City Park, this free-to-use lake is another year round fishing gem. Fishing is allowed in both the lake and the creek in the park. Other activities include a full 18-hole disc golf course, soccer fields, skate park, softball fields, playground and multi-use trails. Bring the whole family out to Westminster and grill up your day’s catch in one of several picnic areas. Littleton’s South Platte Park and Carson Nature Center feature more than 880 acres of public space for recreation. There are 5 lakes all open to fishing, as well as a great trail system. The South Platte River flows into the park, so you can trace it east or west to fish its infamous waters. The Rockies around Deckers showcase some of the South Platte River’s best fishing, although it’s a bit of a drive southwest from Littleton. 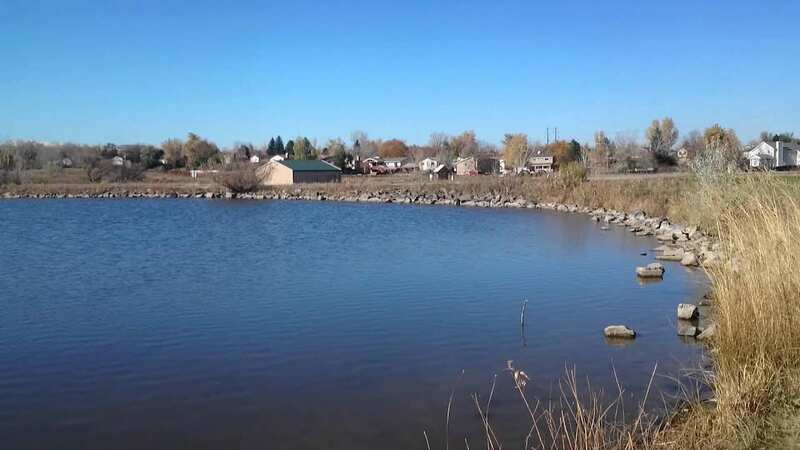 Westminster’s Standley Lake is another full park and actually considered the town’s largest body of water. The reservoir is more than a 1000 surface acres, so you’ll find plenty of areas to explore by foot or boat. Follow the trail that parallels the lake. Boating is permitted from May 1st through September. You can even camp here at one of 70 sites or rent one of 6 tipis. If you’re ready to venture further into the Rocky Mountains, read our list on Colorado’s best fishing spots. Good luck out there and remember, the early worm catches the fish!